Government of Somalia don start social media campaign to find people wey go donate blood. Dis one dey happen as di country dey try cope, after bomb blasts on 14 October for Mogadishu injure over 300 people. Di campaign na to find blood and any kind of help wey people fit give to di victims. Dis campaign even pass border well-well enter Kenya. For Nairobi, young people dey arrange for blood donation. Saturday bomb blast don kill over 276 people; and di number fit rise as authorities still dey try recover dead bodies. More countries don dey join hand to help. Qatar say dem go send medicine, and even fly people from Somalia go for treatment. Turkey don take people for treatment like that. US too don send medicine and other things. Kenya sef don send medicine, and Djibouti even send 30 doctors for ground to help di people. Yesterday evening na im di government say dem bury more than 168 dead bodi wey nobodi fit identify. 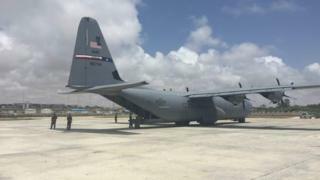 No group don say dem dey behind di attack, but di government don point hand blame Somali militant group, Al-Shabab for dis attack. On Sunday, na im some Somalis enter di streets of Mogadishu to condemn di group. Among di victims wey dem fit take eye name na one medical student wey suppose graduate di day after di attack. Her sister Anfa'a tell di BBC Somali Service say: "di family dey very shocked, especially our Papa wey bin travel all di way from London." Anfa'a say she bin talk with her sister just 20 minutes before di blast. "Dat time she bin dey Banadir Hospital where she dey work. She tell me say she dey wait for some papers dem from di hospital and she promise to call me back." Muhidin Ali, wey dey stay di area, tell AFP say dis na "di biggest blast I don take eye see; e destroy di whole area." Meanwhile, di director of di Madina Hospital wey be Mohamed Yusuf Hassan, say im sef shock well-well. "So many people wey we no fit count don lose dia life. Dead bodi burn sotay nobodi fit know who dem be."